I like being safe and feeling but increasingly the OSH business (and I mean business) is getting farcical. 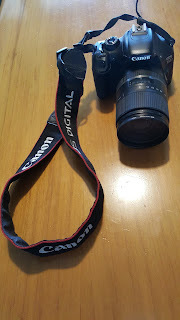 On my last flight I was told, "I'm sorry sir, your camera is too big to hold on to... you are going to have to stow it." One of the major benefits New Zealand-based Sounds Air has seen from becoming an early adopter of the Takeflite airline enterprise software suite is the dramatic improvement in capability the suite’s maintenance control module has given the carrier in managing its maintenance operations. So says Andrew Crawford, managing director and majority owner of Sounds Air, which is based at the resort town of Picton in the scenic, winemaking region of Marlborough in the northeast part of New Zealand’s South Island. Speaking at the recent Caribbean Aviation Meetup conference in Sint Maarten, Crawford said that for the first 17 years of its existence, from 1987 until 2005, Sounds Air handled all its bookings by means of an Excel spreadsheet and passengers could only book tickets outside normal business hours by leaving a message on Sounds Air’s answering machine with their credit card details. Having bought a majority share in the airline in 2003, at which point it was carrying just 14,000 passengers a year, Crawford realized a more sophisticated IT infrastructure could help Sounds Air grow its bookings--and the rest of its business. It so happened that a local IT expert, a director of Takeflite Solutions, the developer of the Takeflite suite, was a frequent passenger on Sounds Air. This familiarity provided a natural entrée for Crawford and Takeflite to discuss having the young company develop a reservation system specifically for the airline. Its new reservations system immediately began transforming Sounds Air’s business and Crawford describes Takeflite’s IT suite as “an airline in a box.” By 2008, when the carrier launched its own website to allow 24/7/365 online booking, Crawford, who saw so much benefit for Sounds Air in Takeflite’s IT products that he became an investor in the company, decided also to have Takeflite develop a maintenance control IT suite for the carrier. “Previously, we had outsourced our maintenance--we had no control of it and every bill was like a hand grenade” in its potential for being financially hurtful, says Crawford. In not having control of when and exactly how much maintenance work was being performed on its Pilatus PC-12 and Cessna Caravan aircraft and engines, Sounds Air had no idea how large any given maintenance invoice was going to be. Nor could it schedule maintenance reliably. As with its previous reservations system, Sounds Air’s only means of providing any control of its maintenance scheduling was to use an Excel spreadsheet format. This didn’t allow the airline’s managers to drag and drop flights to rearrange the utilization of each aircraft in its fleet, so the system provided “little flexibility for change” and rearranging an aircraft scheduling took a week on average, according to Crawford. “Now we can do it in 1.5-hours,” he says. “The solution was to build a system off the same [Takeflite] operations database,” which by 2008 was running Sounds Air’s entire ticketing, baggage control and reservations functions. Its new maintenance control system gave Sounds Air the ability to record and manage “the complete maintenance history of the aircraft,” adds Crawford. Today, Sounds Air’s maintenance philosophy is to “always have one aircraft on the ground,” so that it can constantly keep nine of the 10 aircraft flying on revenue scheduled and charter flights. After adding its in-house maintenance control system, Sounds Air decided to take direct control of a large part of its aircraft maintenance by creating a subsidiary called Sounds Aero Maintenance to perform all the airframe maintenance required on the three Cessna 208B Grand Caravans and two Cessna 208 Caravans it operates. 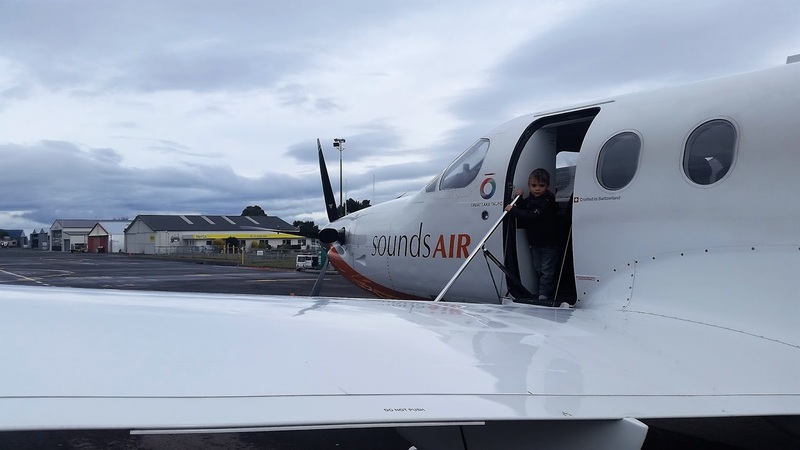 Sounds Air doesn’t handle the airframe maintenance on the five Pilatus PC-12s it also flies: this is performed by a Pilatus Maintenance Centre at an airport serving another New Zealand town. However, because Pilatus has publicly discussed providing fixed-price maintenance for its new PC-24 light business jet, Sounds Air has asked Pilatus to offer a similar fixed-price maintenance service for its PC-12s. “We’re talking to Pilatus about maintenance by the hour, because variable-price maintenance is very difficult [to manage] for a small business that is privately owned,” says Crawford. After setting up its own maintenance operation, Sounds Air decided quickly not to handle its own engine overhauls. “We did one and it saved us $50,000, but it was a nightmare in terms of the stress it caused us,” says Crawford. Now, although each of Sounds Air’s PT6A-114 and PT6A-114A engines is overhauled to Pratt & Whitney Canada’s 8,000-hour life extension program standard, “we never get to 8,000 hours. At 7,300 hours we give them back to Pratt & Whitney Canada on its engine exchange program.” In the past few years Sounds Air has added further Takeflite modules to manage additional aspects of its operations, such as cargo sales and global distribution system participation; and today Takeflite Solutions boasts more than 70 airline and MRO-industry clients worldwide. In recent days there has been a bit of flak from Sounds Air about Jetstar's pricing tactics and how this is eroding their Nelson flights. Now Blenheim people are saying they want the same fares Jetstar and Air NZ are offering out of Nelson. The point forgotten is no one makes a profit on the super cheap fares. They are part of a wider strategy to get people flying and fill empty seats. In the end the airline has to make a profit to survive. When an air fare war is going on airlines will take a hit to keep market share. However, there is a unrealistic presumption that Air NZ, in particular, has to offer loss making fares all the time, everywhere over its domestic network. This is simply unrealistic. So what do you make out of this piece? Marlborough residents feeling short-changed by the cost of air fares have vented their frustration at Air New Zealand. The national carrier was accused of charging exorbitant prices, with many at a fiery public meeting sharing stories of the 90-minute drive to Nelson in search of cheaper fares. 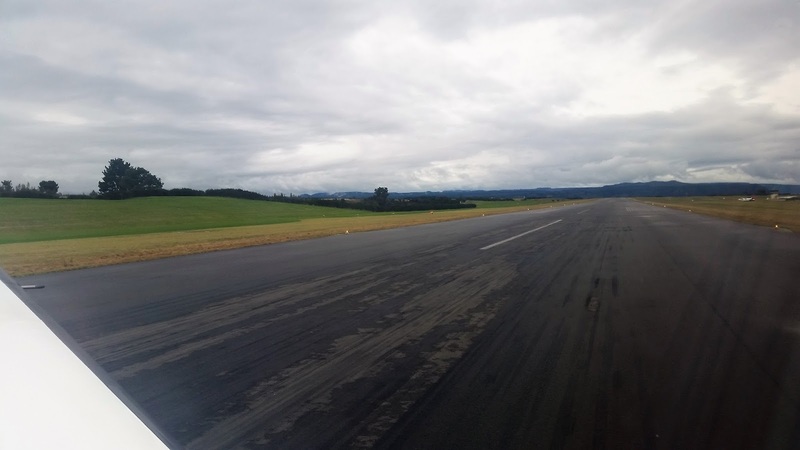 But a representative for the airline said the pricing structure in Blenheim was no different to other parts of the country, and fares were cheaper than they had been. Air New Zealand phased out the use of its 19-seat Beechcraft 1900D aircraft last year, months before pulling direct flights between Blenheim and Christchurch. Air NZ head of government and industry affairs Duncan Small said phasing out the smaller aircraft meant residents should be seeing lower prices. "I can say that you are experiencing significantly lower fares now than you were when we were running into Marlborough with the 19-seater aircraft," he said. The remark drew a murmur of objection from the more than 70-strong crowd on Tuesday. "It's almost like we've offended Air New Zealand somehow and they're making us pay," one man said. Blenheim woman Helen Smale said she felt the airline was paying lip service to the regions, but had not stepped in to reinstate direct flights to Christchurch after the earthquake. "Our region was affected quite badly in the earthquake. New Zealanders all pull together when things get tough, and you're certainly not doing that for us," she said. Her husband Tony Smale claimed flights between Blenheim and Auckland were roughly two-and-a-half times more expensive than flying from Nelson, which was also serviced by Jetstar. "It looks to us like we are subsidising the competitive nature of that route, because the differences are astonishing," he said. "Auckland is really important for us and we are just getting bowled over by it. It's just ridiculous that we can take time and expense to drive to Nelson and it's still cheaper." 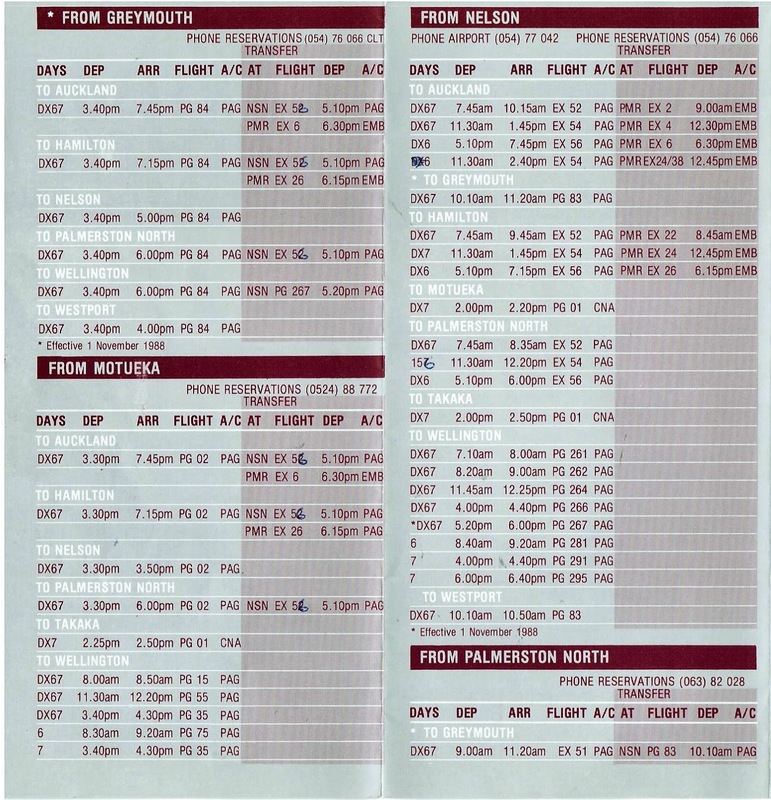 Smale came to the meeting armed with print-offs comparing the price of a return flight to Auckland from Nelson and Marlborough airports, leaving August 9 and returning August 11. 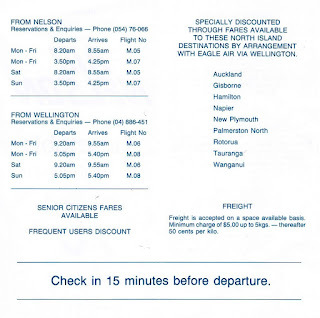 The cheapest fare leaving Marlborough was $139; coming back was $159. 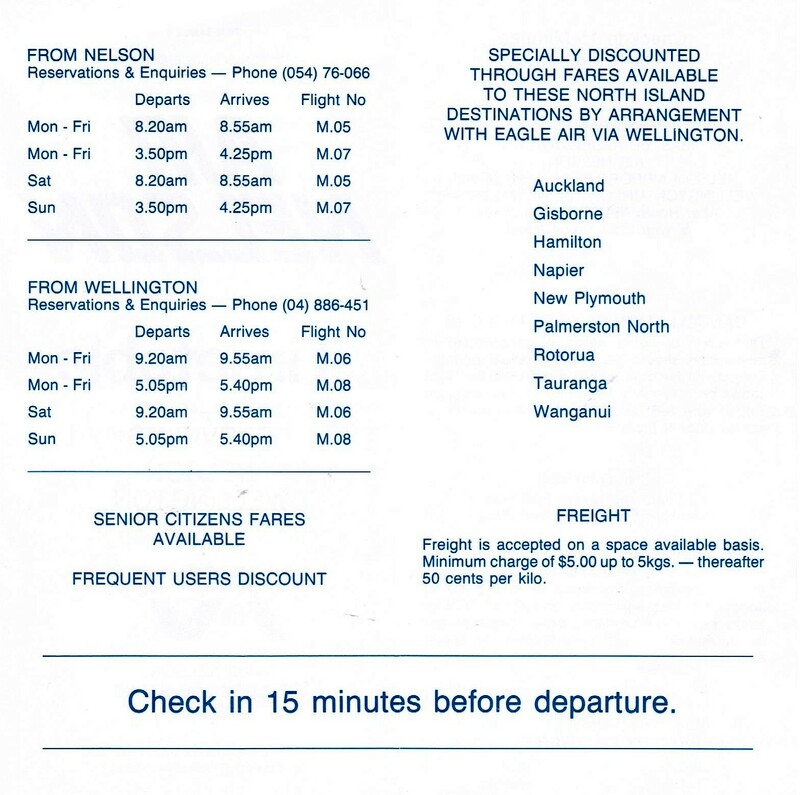 The cheapest fare leaving Nelson was $59; the same price as the returning flight. However, Small refuted the claim prices were two-and-a-half times more expensive, saying the amount of lower price fares was down to capacity, and there was more capacity between Nelson and Auckland. "Your fares are not differently structured or out of whack, and your loadings are not out of whack with anywhere else in the country," he said. He was also emphatic that Air New Zealand would not be reinstating direct flights to Christchurch, saying they did not want to create uncertainty for other operators by jumping in and out. Attendees also spoke of the impact of air fares. One man claimed an exporting business was considering relocating to Christchurch because of the cost of flights in and out of Marlborough. Another said high air fares meant tourists were more likely to bypass Marlborough. "I hear what the room is telling me," Small said towards the end of the meeting. "You haven't offended us, and I can promise you that we're not going anywhere out of this market. We fly more seats into Marlborough now than ever before." The performance and reliability of Air New Zealand services out of and into Kapiti Coast Airport has improved considerably. Air New Zealand regional manager Ian Collier said the company accepted the criticism of many people who had said they couldn't rely on the local service. But the company had been working hard to address the issue and "the performance is improving and we will continue to deliver that," he said at a business briefing in Paraparaumu on Wednesday. Proof of improvements came from an audience member, Maurice Stilwell, who said, "I use it about every two weeks and the service has improved remarkably for the last six months. "I'd trust you with my holiday - just about." And Kapiti councillor Mark Benton said, "I use the service about once every three months and it's bloody brilliant. "Thanks very much and it's fantastic I don't have have to drive to Wellington." Mr Collier said Air New Zealand was happy with demand for its Paraparaumu air services though it could be better as it had been "flat for too long" however it was "cutting its lunch. So that is a good thing." Some of the challenges had included pressure from other airports and passengers decisions on their time and how much they were willing to pay. "Our role is to make sure we're as price competitive as we can be out of this port, and that we give you a schedule that is relative to the demand profile that we see." He said the challenge for the company and the community was to drive demand for the services. To grow the air service it was important to get the story and marketing of Kapiti right, firstly nationally and then internationally. "We have a whole lot of things here that are unique to us so we should put our best foot forward to ensure we're presenting that in the best way that we can, and in a way this community believes in. "If this community believes in it, then you will sell it. I would say we are in a better position now, than we have been for a long time, to be able to deliver that with clarity." Mr Collier, who noted there had been great work already, said the company "was there to help you promote that". But it was important not to lose sight of "filling the grandstands and we need to do that on the basis that we're delivering a reliable service". He felt the district had "momentum" especially with the Mackays to Peka Peka Expressway which presented the district "in a different light". "It has created a complete shift and I don't think we've seen the consequences of that yet but we certainly will. "The expressway is elevated and you actually get to see Kapiti, and what it represents, when you come through, and you get curious. "And the signage [to Kapiti Coast Airport] is great." Australian carrier Jetstar should be investigated for selling fares below cost, sparking a race to the bottom that threatens smaller operators, a regional airline boss says. Sounds Air chief executive Andrew Crawford said since Jetstar started flying from Nelson Airport, in December 2015, the Marlborough airline had seen a significant drop in business in Nelson. Crawford said Nelson Airport had been the second biggest market for Sounds Air. It was now the sixth, and the company was making $60,000 a month less than it was two years ago. "Jetstar has come into this country and offered fares at ridiculous levels, I mean way below cost. They're offering fares that I believe the Commerce Commission should be putting a stop to," Crawford said. "It's absolutely decimated our market in Nelson to the point where we'll have to seriously consider if we can keep doing it ... it's a race to the bottom, and we're caught up in it." Crawford made the comments at a public meeting organised by Kaikoura MP Stuart Smith, which took place in Blenheim on Tuesday evening. It was illegal for a company to take advantage of market power under the Commerce Act, but for predatory, or below cost, pricing to be illegal companies had to meet a number of criteria. A Jetstar spokesman said the Commerce Commission had never investigated the company for selling fares below cost. He did not say if the airline engaged in the practice. "Aviation is a very competitive industry with airfares set based on market conditions. Jetstar is able to offer low fares because we keep our costs as low as possible," he said. Bigger aircraft for Sounds Air??? Speaking with AIN at the recent Caribbean Aviation Meetup conference in Sint Maarten and in subsequent e-mails, Sounds Air managing director and majority shareholder Andrew Crawford said the carrier now operates up to 22 PC-12 round trips a week on the Blenheim-Christchurch route as a result of the road closure. Crawford added that the closure generates more traffic demand for Sounds Air beyond even today’s increased schedule and noted that the main road between the two cities will remain closed for more than a year to come. According to Crawford, Sounds Air is looking for larger aircraft to meet the extra Blenheim-Christchurch demand and also to benefit from what he said is a forthcoming move by Air New Zealand regional subsidiary Air Nelson to end services with 50-seat turboprops at some New Zealand destinations. “We are looking at Beech 1900Ds and potentially Saab 340Bs as the two options that are potentially viable,” he explained. 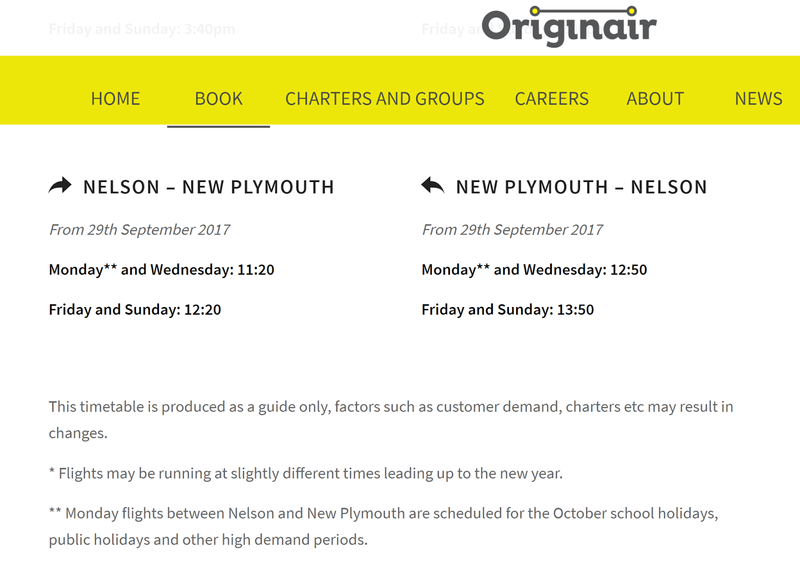 Originair is extending its airline services by adding direct flights between Nelson and New Plymouth which will take approximately 50 minutes. Initially there will be eight flights a week between the two cities, taking off from September 29. The airline will be flexible around scheduling, reflecting extra demand during school holidays and long weekends. Originair managing director Robert Inglis says they are introducing the direct flights after listening to business and leisure travelers. "Currently anyone travelling between the two cities may spend lengthy periods transiting via Auckland and Wellington instead of less than an hour with direct services. We believe the Nelson and New Plymouth communities will support this service. It will appeal to travelers who want to spend a weekend in either city and to business travelers commuting for a week's work or a short stay," Mr Inglis says. 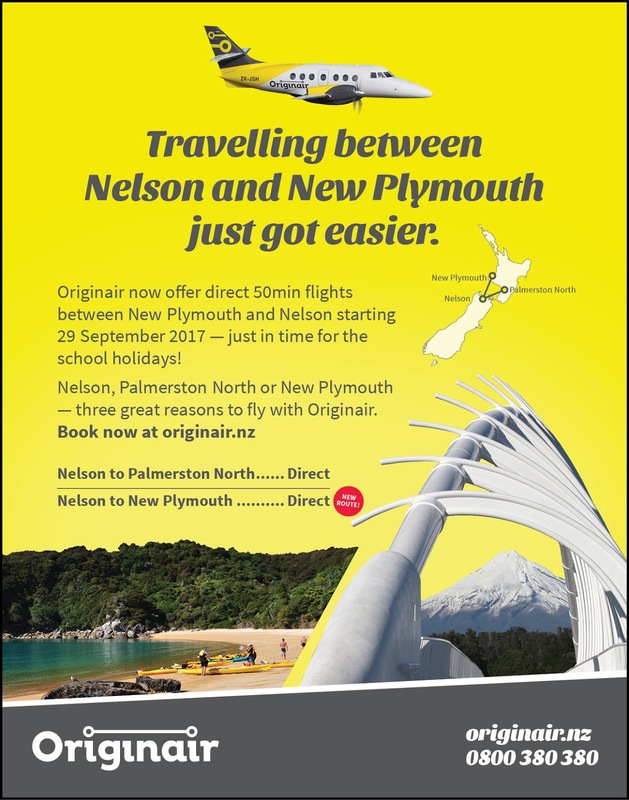 The airline currently flys between Nelson and Palmerston North, a service which started in 2015 and is popular with business and leisure customers. The company's British Aerospace 18-seat Jetstream aircraft will fly the route and the company is adding another Jetatream to its operations to cover contracted charter flights, tours and maintenance coverage. 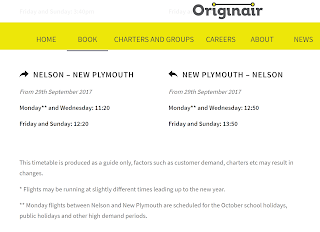 Originair is offering a special New Plymouth Introductory fare. 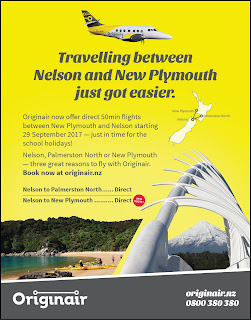 Passengers simply enter the coupon code FLYNPL when searching for their flights online between Nelson and New Plymouth to book special fares starting from $179 one-way per-person. This introductory offer, which is limited, is for travel in October 2017. For almost 50 years the Dominion has been flown from Wellington to Nelson on an early morning more or less dedicated air service. I'm trying to put together a little bit of a history to the service... These are the operators I have found that have flown it... I'm wondering if Rex Aviation or Rawson Aviation ever carried the Dominion??? Rough dates who flew the service? What was your experience or stories of flying the papers? 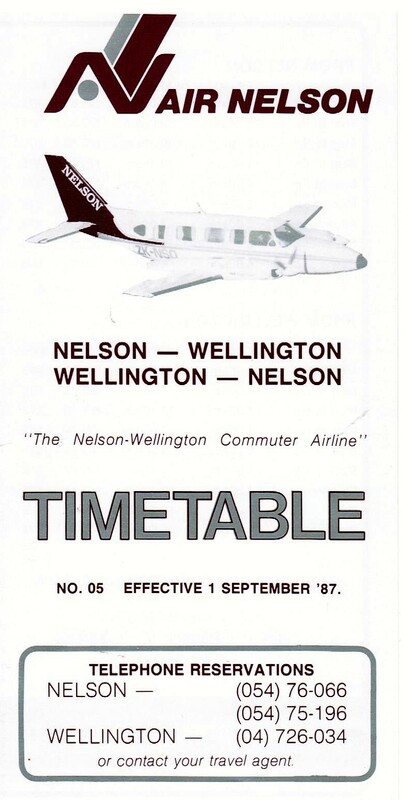 Did you ever have passengers to or from Nelson? Have you any pictures of the newspaper operation? Sunair have released their new timetable effective 7 August 2017. There are no changes to the frequency of services, no new destinations and no new increase to fares. 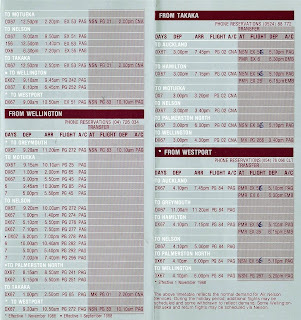 There are a few changes, however, with timetable changes to morning flights to and from Great Barrier Island. The biggest change is with the flights between Hamilton and the Gisborne with the aircraft now starting the day at Hamilton rather than Gisborne in an attempt, I suspect to beat the Hamilton fog! Meanwhile Sunair, from my observation seem to being doing well, with a number of Whangarei-Hamilton services been operated and Gisborne-Hamilton flights often running full. Gotta love Sunair! Air Nelson traces its origins back to Nairn Aviation. In 1976 Robert Inglis and Nicki Smith helped Harry Jenkins establish Associated Aviation in Paraparaumu. Two years later they established their own Motueka-based flying school, Associated Aviation (Motueka). 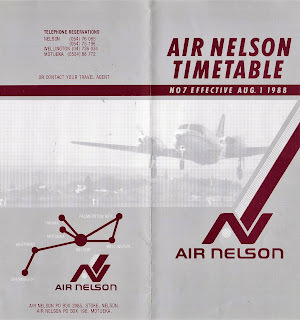 In 1980 they, along with Harry Jenkins, bought Nairn Aviation and changed the flying school and air charter operator's name to Associated Aviation (Nelson). This Nelson-based company was later sold to Martin Butler who gave it the name Air Nelson before he sold the company back to Associated Aviation (Motueka). 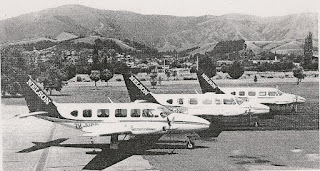 In 1985 Robert and Nicki decided to concentrate on developing Motueka Air Services and so Associated Aviation (Motueka)’s airline operation was split from the flying school and the airline was formed into a new company, Motueka Air Ltd. Air Nelson became a division of Motueka Air and offered charter, scenic tours, flight training and aerial photography from Nelson. A number of Cessna single engined aircraft were were used including Cessna 152 ZK-ELV, Cessna 172s ZK-EOK and ZK-EOX and Cessna 206 ZK-DFW. 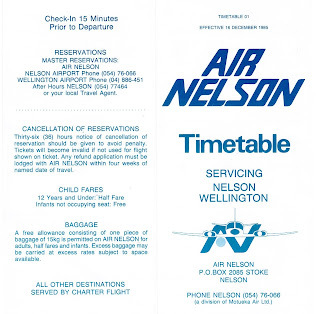 Following on the from success of the parent company's Motueka air service Air Nelson began scheduled flights between Nelson on Wellington on the 16th of December 1985. At this time Air New Zealand and Air Albatross were offering numerous flights on the route with Friendships and Metroliners. Explaining his company’s rationale Air Nelson’s managing director, Mr Robert Inglis, said, "There is no intention to rapidly expand the service. We are interested in being complementary to the other airlines at peak times. We are also interested in supplying multi-engined aircraft for charter work for companies, sports and special interest groups." 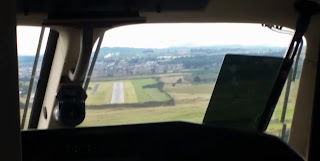 The first flight was operated under the command of chief pilot Bob Schmuke using Piper PA31 Navajo ZK-NSN. Initially two return flights were flown on weekdays and one return flight on both Saturday and Sunday with ticket prices of $55 being lower than both the company’s competitors. 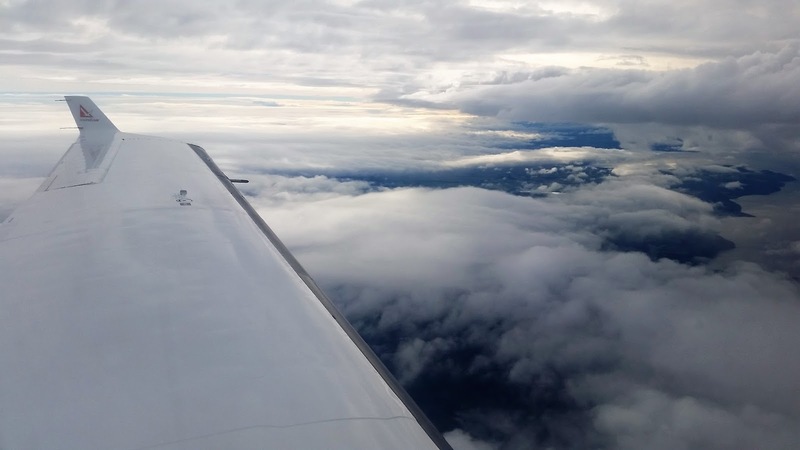 By the end of January the service had grown to two return flights each morning and evening using the company’s Navajo and a leased Cessna 402 with the company looking for a larger aircraft. 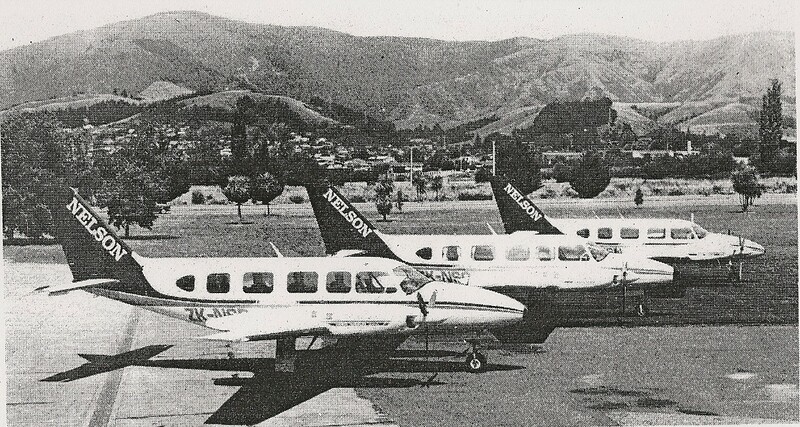 In 1986 two Piper Aztecs, ZK-DIO and ZK-PIX were added to the fleet to provide additional capacity on the Nelson flights as well as providing back-up for the Motueka Air Services flights from Motueka to Wellington. The “larger aircraft”, which did not eventuate for another 12 months, were two 10-seater Piper PA31 Chieftains, ZK-NSO and ZK-NSP which arrived in April and May 1987 to cater for the traffic which had been steadily growing on the Nelson-Wellington route. The new aircraft enabled five return weekday flights to be operated. A lesser weekend schedule was also operated. With its location at the top of the South Island bounded by Cook Strait and mountains to the south Nelson has always been air minded. 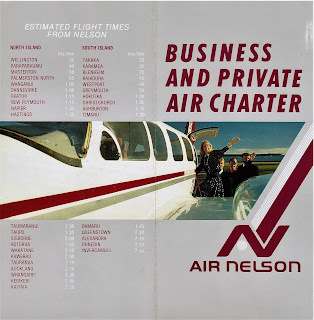 At the same time as Air Nelson introduced its two Chieftains Pacifica Air introduced services from Nelson to both Wellington and Christchurch using a Beech Super King Air. Robert Inglis stated his belief that there was only room for one alternative airline to Air New Zealand flying the Nelson-Wellington route and only time will tell if the new Nelson-based airline Pacifica Air will be successful. "We are not competing in the same market, Air New Zealand and Pacifica Air offer a fast, pressurised and turbine-powered aircraft service, and our place in the market offers cheaper fares," he said. He puts this down to more economically-run aircraft. The company intends continuing its five flights a day service between Nelson and Wellington. The arrival of the Chieftains saw the introduction of Air Nelson’s smart maroon and silver colour scheme giving the company a good corporate image. 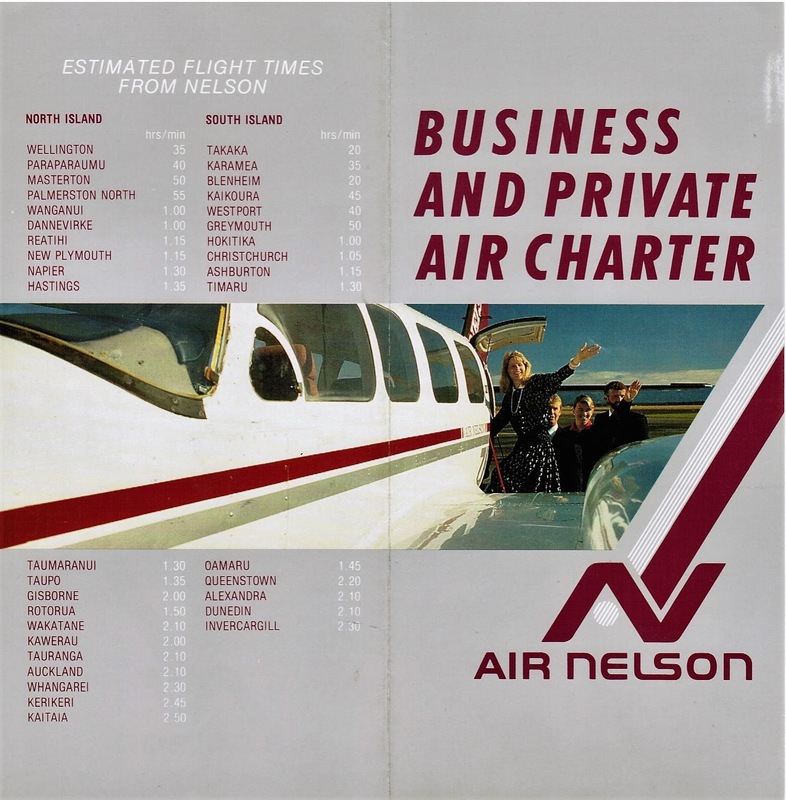 At this time Air Nelson also tapped into growing demand for charter from business people, special interest groups and sports teams. They also operated air ambulance flights for the Nelson Area Health Board for patient transfers and other emergency requirements. An Air Nelson advertising supplement from the Nelson Evening Mail of 10 February 1988 showing the fleet, the interior of a Chieftain and the staff. 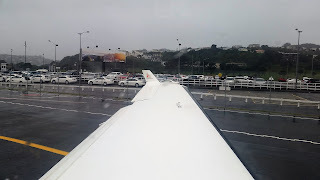 In July 1988 Air Nelson and Hamilton-based Eagle Air announced they had joined forces to begin a regional network linking Nelson with Auckland, Hamilton, Napier, New Plymouth, Palmerston North and Wellington. At the same time it was announced that in November 1988 Air Nelson would extend its services to the West Coast operating a Wellington to Nelson, Westport and Greymouth service in the morning and returning along the same route in the afternoon with a seven seat Piper Navajo. In their joint statement, Air Nelson’s managing director Mr Robert Inglis and Eagle Air’s general manager Mr Don Good said the move meant "unprecedented commercial co-operation between two New Zealand airlines." 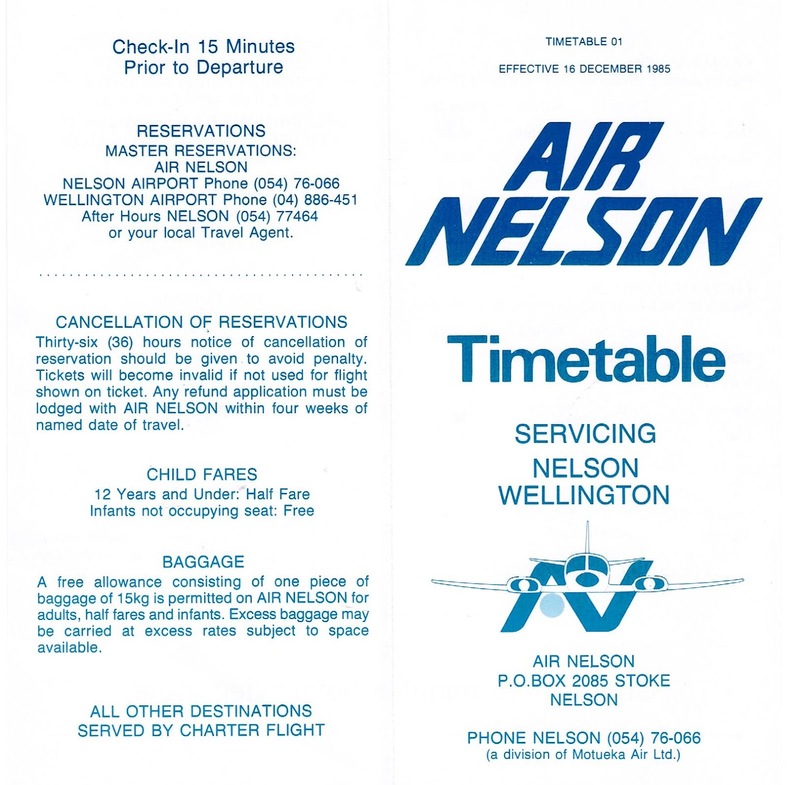 The agreement saw Air Nelson move onto Eagle Air's Qantas-developed computer reservation system with Air Nelson taking over the Palmerston North-Nelson service from Eagle Air. "Eagle and Air Nelson's aircraft are tailored to give these routes a high frequency service, allowing the consumer to fly at a departure time convenient to the operational and economic needs of the airline." The strengthening of ties heralded a new era of co-operation between airlines facing the prospect of potentially high cost increases from the Airways Corporation and airport authorities "which the New Zealand consumer in today's environment, especially in the regional centres, will not and cannot pay". The statement said Air Nelson would restructure its operations to improve efficiency and enhance its service. “Motueka Air and Air Nelson would merge, and be upgraded to a full Piper fleet of Chieftains and Navajos. Its services to Wellington will thus be considerably enhanced." Air Nelson would also open its own maintenance division in Nelson. "Air Nelson takes over the mantle of New Zealand's largest Piper Chieftain operator from Eagle, who at one stage operated four of these aircraft and had build up a great deal of experience over 11 years of owning, operating, and servicing these workhorses of the commuter air business," it said. There were two other pieces of news announced in July 1988. First was the news that Air Nelson would also open its own maintenance division in Nelson. The other announcement was the news that Air Nelson had negotiated a contract with Ansett New Zealand to handle its freight on the Nelson-Wellington run. 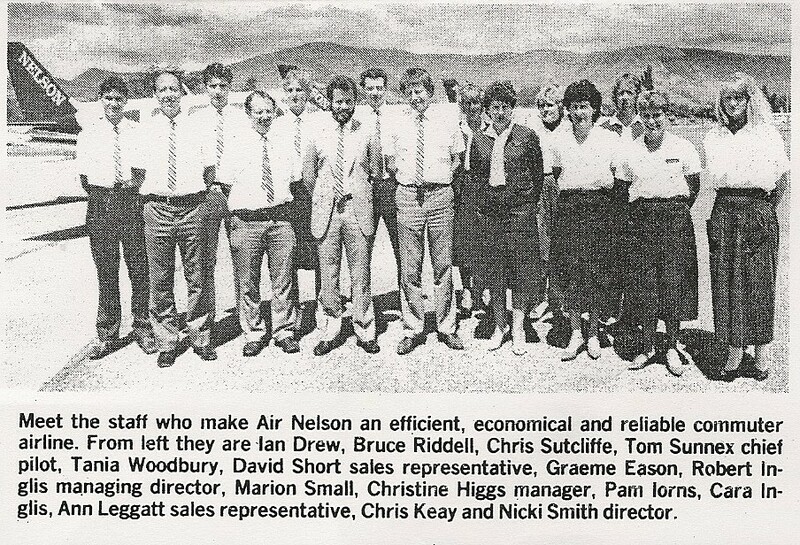 AIr Nelson took over Eagle Air's flights between Nelson and Palmerston North on the 1st of August 1988 with three flights each way on Mondays and Fridays, two flights on Tuesdays, Wednesdays and Thursdays and a single flight on Saturdays and Sundays. Connections were made at Palmerston North to Eagle Air flights to Auckland and Hamilton. 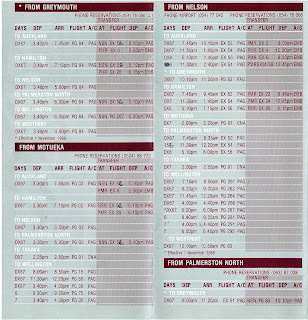 Also on the 1st of August 1998 Motueka Air merged with Air Nelson and these flights appeared in the Air Nelson timetable. 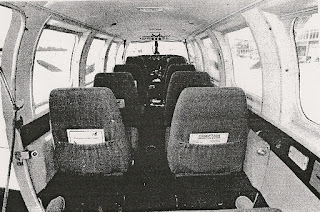 At this point three Aztec flights were operated between Motueka and Wellington each weekday with one flight being operated on both Saturdays and Sundays as well as a Motueka-Nelson service. 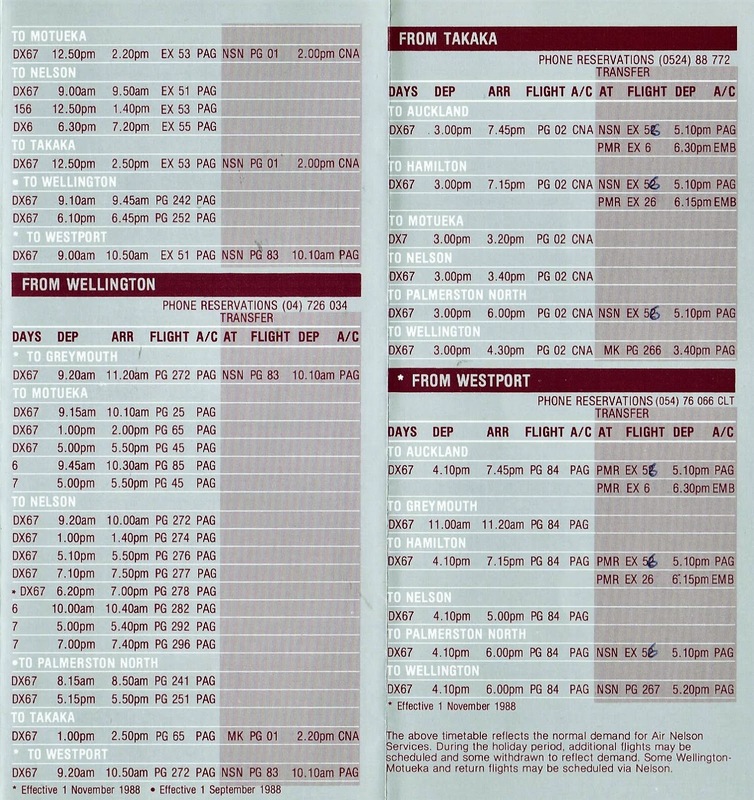 Also appearing on the Air Nelson timetable was the Monday to Saturday newspaper service to Takaka. This was flown by Cessna 172 ZK-EOX and operated either from Nelson or Motueka depending on what traffic was offering. With the rise and fall of Air Albatross Air New Zealand recognised the need to change its provincial services. 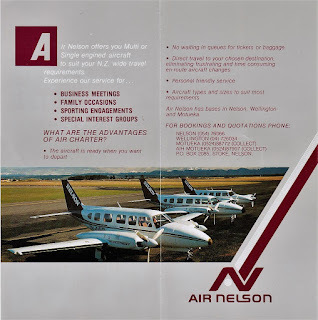 With the rise of another regional competitor in an aligned Air Nelson/Eagle Air operation Air New Zealand acted and on the 16th of September it was announced that Air New Zealand had bought Eagle Air and a half share in Air Nelson. It was also announced that it was relinquishing flights to Hokitika, Westport and some of its Nelson-Christchurch and Nelson-Wellington flights in favour of Air Nelson. In announcing the changes Air New Zealand’s chief executive Mr Jim Scott said, "It no longer makes business sense to operate Fokker Friendships when smaller aircraft operating higher frequencies better suit the market. Our provincial services have always been an important part of our operations, but we must adapt to survive in changing times. What has been the best practice in the past does not necessarily provide the best solution for the future." 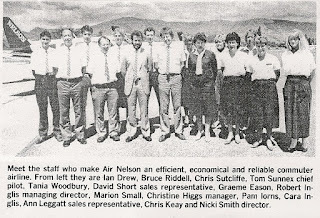 So began Air Nelson’s part in revolutionising provincial air services in New Zealand. Saw your latest post on Sounds Air's Taupo service, and thought I would share these quick photos. 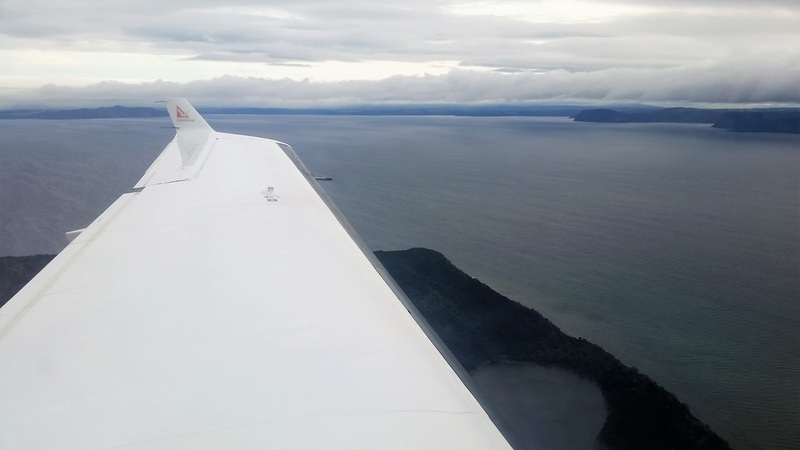 Taken aboard flight S8854 from Wellington to Taupo on PC12 ZK-PLT. 7 pax including myself onboard, and the gate agent in Wellington seemed to reckon that was a average load. Definitely a lot quieter then the 1900D! Really cool to see the service is being supported. TIU-TUO via WLG and AKL with Air NZ was $360 one way, Air NZ from Timaru to Wellington, and then on to Taupo direct with Sounds Air, was $320, so it worked out great!